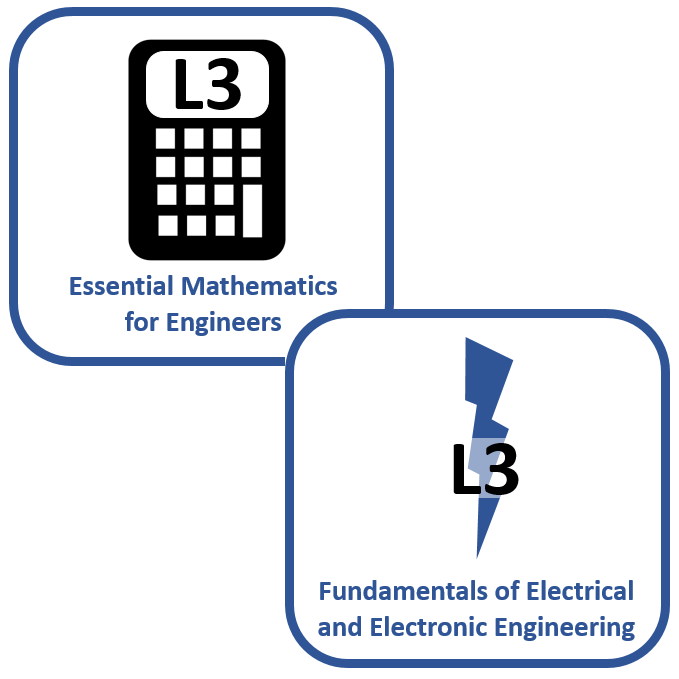 This course covers the core Mathematics topics that are studied during any level 3 Engineering programme. 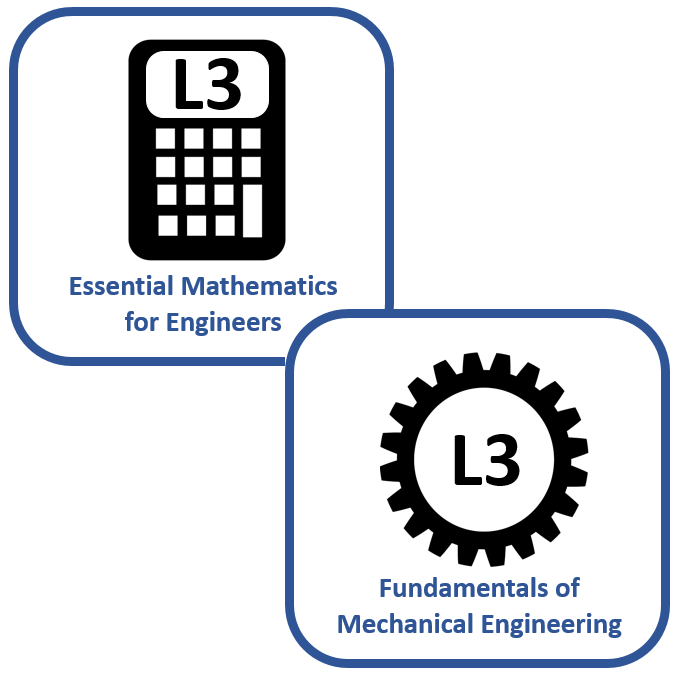 If you are currently studying Engineering at level 3, or wish to revise prior to commencing an Engineering qualification at level 4 or above, then this maths bridging course has been developed with you in mind. Who is the ‘Essential Mathematics for Engineers’ Course Designed For? This Maths Bridging Course is suitable for anyone studying, or considering studying maths or engineering at Level 3 or above. If you are already studying engineering, then it is likely that you would benefit from compounding your understanding of the core mathematical skills that are commonly used in engineering. If you are considering studying engineering at any level, then it is essential that you gain a sound foundation in mathematics, by mastering the skills contained in this course. Engineering is largely analytical in nature and each of the topics in this course will help to improve your potential as an engineer. When studying a level 4 qualification (or above) with any institution, it will be assumed that you can apply all of the principles covered in this maths bridging course. If you study a higher level programme with the Engineers Academy®, then you will be given complementary access to this course, alongside your main programme, for revision purposes. 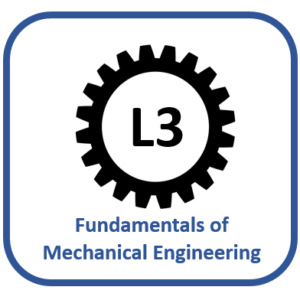 Disclaimer: Please note that you will not receive a level 3 qualification upon completion of this course, as it has been designed specifically to support students who are currently studying related disciplines, or who are preparing for further study in Engineering. It is not a qualification in its on right. 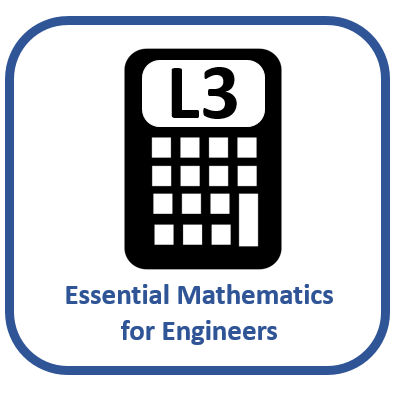 What is included in the ‘Essential Mathematics for Engineers’ Maths Bridging Course? I started this course as preparation for HNC in electrical to boost my maths knowledge. It’s a number of years (33) since I last studied & I found this course really useful & interesting. I like the fact you can do as much or as little as you want at a time. Even if I don’t do the HNC it will help me when the kids get to secondary school and I need to understand their homework. I would recommend it to anyone wanting to improve their knowledge of engineering Mathematics or wanting to do an engineering HNC. Thank you for your feedback Andrew. We are grateful for your input and happy that you have benefited from the course. At first I thought why do I need this course and why I cannot just do HNC straight away. NOW I do understand the reason for it. It is really great course and the support from Andy Smith is excellent. The last time I was doing Math was 16 years ago and I was a bit worried if I can do it. For my surprise I am doing it very well so far. I like the fact it gives you 5 attepmts and only the highest score is the end result. By the time you reach the 5th attempt you should be able to get it right. I love the previous comment which says this course will help me to do homework for kids if they cannot do it in right way. Thanks Andy for this course and other courses i will do on your website. Well managed, easy to use, support from the admin is brilliant. Thank you for your feedback Igors. You are making great progress and asking all of the right questions! We look forward to supporting you though an HNC upon completion of the bridging courses. 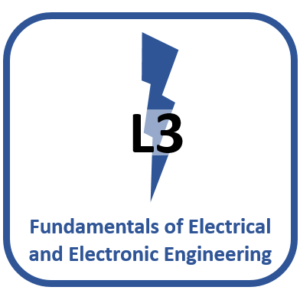 I started this course in conjunction with the Electrical Fundamentals course in preparation for starting a HNC in Electrical Engineering Next year. Maths was not my strong point in school, neither was it my strong point during my RAF apprenticeship. I think I’m a bit slower on the up take with regards to methods and processes used. And in a classroom environment I felt that I got slightly left behind. The use of video tutorials and practice questions is the perfect combination for me and I seem to understand it a lot more than I ever have as I can go at my pace and do lots of practice so it’s cemented in my mind. Hi Kris, thank you for your kind words. You have been making excellent progress in both courses and I am confident that you will be well prepared to study an HNC next year. Keep up the good work! This course really helps bridge the gap between A level and a HNC/HND – especially when you’ve had a big gap between learning. I used this course to help prepare to start a FDSC in power engineering and it really helped give me a sound mathematical and engineering base! Thank you Andy & team! Hi Heather, thank you for your feedback and kind words. All the best for your future studies! Its been a while since i have put pen to paper for the basic fundamentals of maths , but with andys excellent delivery skills , and vast knowledge this course was a great benefit to myself. Thank you for your kind words Sam! I am glad you have benefited from the course and hope you feel well prepared for starting an HNC. It has been a long time for me since I have studied mathematics and I found that each lesson was very well structured and beneficial for my learning and development. Thoroughly enjoyed going through it all again. Great work on this Andy I appreciate all of the help. Thank you Adam. It has been a pleasure working with you and I hope to see you on the HNC soon! Great tool to assess current knowledge and what needs work. Instant results from assessments and easy to gauge where your at in your studies. Many thanks to Andy and his team, forever appreciative! Thank you for your kind words Yossief. I am pleased to see that you are making great progress on the HNC now too. Keep up the good work! Having not completed academic studies for numerous years, this is the perfect course to bridge those years out of a classroom. The course offers a thorough reintroduction to studies through the detailed yet understandable videos. Andy’s explanations offer everything you need to develop and complete this course. Highly recommended, thanks a lot! Thank you Phil. I am glad you feel you have benefited from the course. This maths bridging course has been excellent. I previously signed up for an HNC with another provider thinking that i wouldn’t need to do a maths bridging course however having not done any mathematics since leaving school 22 years ago i was very wrong ultimately resulting in me having to drop out the course. The content and structure of the Engineers academy bridging course has been great and i now feel that in a short space of time i am back at a level where i am confident to move onto something more challenging. The support and communication from Andy has been great. Thank you for your kind words Tim. I notice that you have started the Mechanical bridging course now and so you will be well prepared for the Mechanical HNC. Unfortunately your experience with other providers is not uncommon, as distance leaning is often a small part of their engineering provision. I am delighted you have found our student support to be effective and I hope to see you on the HNC soon! I went into this expecting a hard time as I had previously attempted A-Level Maths and dropped out after two weeks. I was trying, so the fact that I failed then but succeeded now can be credited to the learning structure and method. The lessons clearly laid out and excellently paced, while the progression through the topics will take you from a few simple percentage calculations to Calculus without any noticeable jump in difficulty level. It’s a credit to the design of this course that I’ve completed it. I’m really glad I kept looking and I’d encourage people to take this course even if they have no plans to study engineering, purely because it will boost your Maths confidence and grow your ability seamlessly. Thanks Andy for all your help and creating a platform that’s accessible and usable by everyone. Hi Graham, thank you for your kind words and an amazing review! It is useful for us to understand a little bit about your background, so that we can ensure our products meets the needs of our students. Keep up the hard word and we look forward to working with you more, now that you are starting the Mechanical Engineering HNC with us. Great start for the actual HNC. It put me in good stead as I do not think I’ve completed any academic work in 8 years +. It soon came back to me and anything I couldn’t figure Andy was always on hand to advise. The distance learning suits me perfectly as I can manage my own time with my work commitments that change on a weekly basis. Thank you for your kind words and feedback Lewis. We are pleased that the structure of the course accommodates your work and other commitments and we look forward to working with you on the HNC programme.